I’ve learned a lot on my musical journey and it has taken me a lot of hard work to get to where I am now and so to help you out, I’m going to list a few things I would do differently if I could turn back time. How many of you are guilty of saying something similar??? Make yourself a promise today and decide NOW never to apologise for your singing or to lower people’s expectations of you before they have even heard you sing. Start believing in yourself and you’ll go far. I wanted EVERYONE to like me. People who liked RnB, people who liked pop, people who liked folk. It was EXHAUSTING! Trying to please everyone just doesn’t work. It wasn’t until I decided that the type of music I liked to sing was actually ok and began to stick to what I was really good at, that I started to succeed. There will be a fan for every type of music out there, no matter how weird or unknown that type of music is. I don’t know the exact stats for how many people there are in the world today, but there are A LOT and even if something as small as 1% of the world’s population like YOUR type of music? Well, that’s a whole heap of ears listening to what you have to offer. I had this idea in my head of what a singer should be, how I should behave and how I should come across on the internet. And so I started acting like I already had a million fans and wrote about myself in the third person, created a totally pompous bio that said NOTHING about my personality, my message and who I was inside. I found that it was not only hard to come up with things to say to people (and if you have your own Facebook Fan Page, you’d know all about this) and things I did manage to say were not receiving any feedback from my audience. It was because I wasn’t being true to myself and people can sniff it out a mile away! So do yourself a favour and let your true personality shine through; no matter how quirky or plain you think you are. Then listen to this; you’re on stage, singing and making music. If that isn’t interesting, then I don’t know what is! You’re already 100 times more interesting than the next person just because you do what so many people dream about doing but don’t! Again this is kind of coming back to the whole thinking I should have a certain type of image thing going on. I had a look at what my peers were doing and immediately implemented the same thing. BORING! Plus it wasn’t STRATEGIC. If you’re going to copy anyone, find someone who is more successful than you in a similar musical genre and get ideas from them but ADAPT them to your own style. Your peers are on the same level as you and you don’t know whether they have worked out a genius marketing plan suited specifically to their own music or whether they are just fumbling in the dark, trying out new things. One of the best pieces of advice was given to me by Patrick Delves, a booking agent from Premier Artists (Australia’s largest music talent booking agency.) What he told me was… “F**k your friends” (‘scuse the language, but it was a quote!) And Pat was right! Quite often your friends have their own agenda and although they may be beautiful people, sometimes you succeeding beyond your wildest dreams can make them feel bad about themselves. So they don’t support you. It’s really sad, but so true. It’s not across the board mind you, so if you do find a friend that really supports you and gives you honest, constructive criticism (not criticism for criticism’s sake) then keep ’em around! Educate yourself as much as possible by seeking out resources that truly help you and invest in yourself by learning a much as you can about the music industry and singing. I hope you enjoyed my latest post! 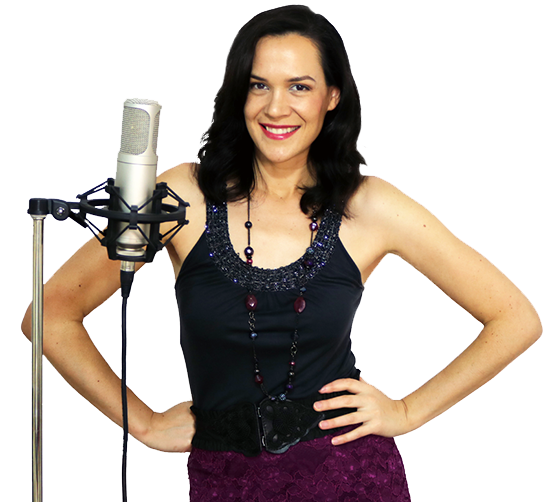 If you’re interested in finding out more why not join my Singing Success ClubTM and get access to a monthly audio and have the opportunity to have your questions answered in my Q&A sessions.